Around 1:40 a.m., the man was traveling northbound on Highway 135 near Waller Park when he drove through a fence separating the highway and Orcutt Road. The car reportedly hit a telephone pole and rolled several times before coming to a stop in front of the Los Pinos Apartments. There were three passengers in the car at the time — one male and two females. One of the females was pronounced dead at the scene. The other two passengers suffered undisclosed injuries. One of the two injured passengers was taken to Cottage Hospital in Santa Barbara, and the other was said to have suffered moderate injuries. Officers arrested the driver for DUI. Authorities have yet to release the identity of the driver and the victim. Two moms and knowing they kids at home get in a car with a drunk!! Now 5 kids a left to deal with this! This is just a sad turn of events. And now 5 children between 2 mothers will suffer this most in this whole process, and the man most responsible walks away nearly unscathed. Why not require alcohol detection lockout devices be installed on all new vehicles? It would certainly help slow down the carnage. Question: How did someone with previous DUI felony arrests get released on bail? If one of Sheriff Parkinson’s deputy can be caught doing over 100mph, while DUI, while having a passenger, while carrying his service revolver, while on probation, on a busy county road and have no real consequences this shouldn’t surprise you. Some people for whatever reason are not getting the message. Not sure what more can be done to keep people from driving drunk. Maybe automotive technology will be the answer. How sad for his passenger’s, helpless while this stupid idiot goes speeding down the road. He should get life in prison for this. They got in the car. 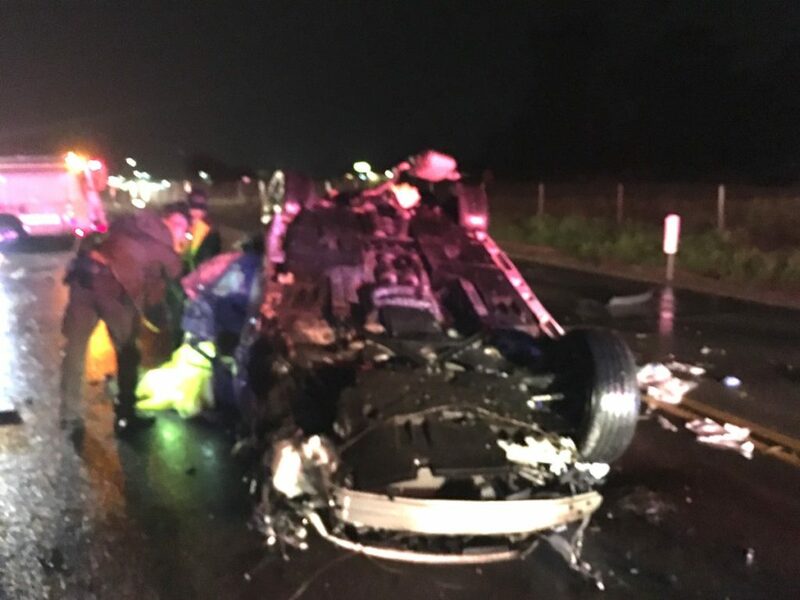 Another Day on the Central Coast….another death by DUI.